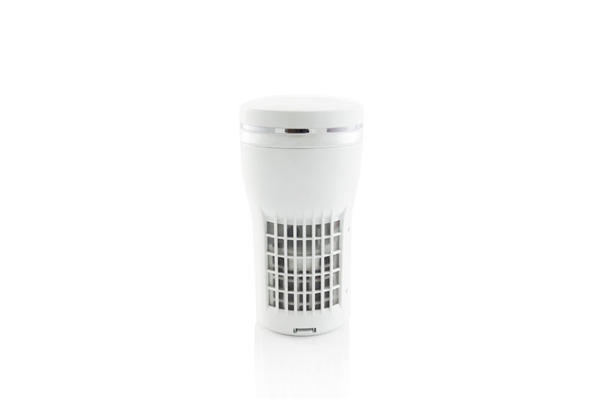 Dust Doctors in Little Canada, Minnesota, helps you decide which is best for your home, a whole-home air purifier or a portable air purifier. Installing an air purifier is one of the most important things you can do for the air quality in your home. Some things are filtered through your home’s HVAC system, but many contaminants come to reside in your home’s air vent and duct system. Even the cleanest environments can contain microscopic particles you don’t realize you are breathing. An air purifier helps eliminate these harmful items from your home’s air supply. An air purifier cleans and purifies the air circulating in your home. Air purifiers typically use mechanical filtration and HEPA filters, or high-efficiency particulate air filters. These special filters are made to trap particles that would otherwise continue to circulate through your home’s ventilation system. A HEPA filter is capable of trapping nearly 100 percent of the impurities from your home’s air. A portable air purifier is small in size and generally sits on a table or in the corner of a room. These are energy-efficient options to provide air purification where you need it most, such as in an area with a high amount of cooking or pets. These are cost-effective and can be carried from one room to the next, taking it where you need it the most. These are a great option for smaller homes or homeowners concerned with efficiency. Whole home air purifiers offer a built-in air purification solution. These are either filter-based purifiers that work at the intake point of your HVAC system, or they are duct-based purifiers installed directly in the air duct path of your duct system. Because they only work when your HVAC system is running, your system must be running all the time, making them highly inefficient for home if you do not use your system constantly. If your home is large and you regularly have your ducts cleaned, this may be a better option for you. Dust Doctors in Little Canada are experts in air quality. We understand the importance of your HVAC system when it comes to providing your home with clean, fresh air. We are experts at keeping your HVAC system and air ducts in top shape to keep your home healthy. We can help with air quality from vent cleaning to air duct pest control cleaning. For more information, call us at 651-319-9777, or you can message us on our contact page.